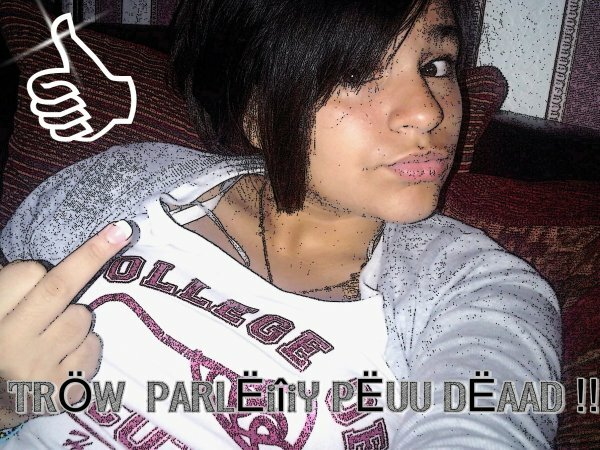 Peaax` :: Sii C'EST PAAH M0Oii QKi MËMË ?! J'SUiS UNE MEUF NT C`EST POUR SA QUE J`ME LA PETTE. J`TE FAiT RAGÉ? HEiYN. OUAiS C`EST LE BUT T'FACON AU FOND ON SAiT QUE T`EST UNE GROSSE PUTE ! MOi, J'iMPOSE J'DÉPOSE ET J`TEXPLOSE !! MON CHARME EST UNE ARME QUi SAiT SÉDUiRE SANS DÉTRUiRE. BAVE PAS AVALE CHÉRiY. TROP DE PÉTSASSE ENVAHiSSE MON ESPACE !! ~ &M0i J'Ai PEUR DE PERDRE ..
MAiS RiEN NE VAUT LA ViE . 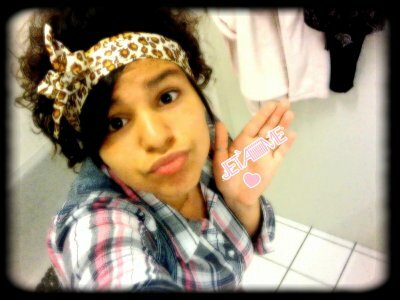 J`SUiiiiiiW PAAH DAANW ` lL GAAME P0OUR lLEiì TAA-TAASS , JEE ` JO0UE AAP ` ! TUNiSiE HAiNE JUSQU'A LA M0RT ? ~ iL LUi A DiT A L`ANCiENNE J`TE TOUSHEREi QUE QUAND TU SERA MiENNE ? MÊME UN MONSTRE A BESOiN DE TENDRESSE , MÊME UN iMAM A SES MOMENTS DE FAiBLESSE . ? Y`A PAS D'MOi SANS LUi ET PAS DE LUi SANS STREET ;: POUR FAiRE PARTiE D'SA ViE LES LOiS SONT STRiCTES !! ? ENNEMiîi ! ( 8 ) » ROH2F ? UN J0UR ViENDRA ... ? LA SERA L'PLUS BEAU . HACHEK ViiENS PAS MTSHEEK Si TA MAiN SENT LA SHNEEK. EN REGARDANT DERRiËRE MOi J`Ai CONSTATË QUE PEU DE PERSONNES ME SUiVAiENT. C`EST EN REGARDANT LE CiEL QUE J`Ai COMPRiS QUE DANS LES BONS COMME LES MAUVAiS MOMENTS SEUL DiEU ME SOUTiENDRAiS ? (( .. )) TU PEUX DiRE À T0US L`QUARTiER `QUE C'EST T0i QUi MA QUiTTER Si SA PEUX AiDER TA FiERTER AL0RS 0Ui TU MA GERTER RAC0NTE LEUR QUE JE T'Ai SUPLiER , QUE J`Ai REMPER `A TES PiEDS JE M`EN F0U JE ME TAiLLE , JE VEUX PLUS T0i T` PLUS A MA TAiLLE ! `` B0ÖN ... TU TE DECiîiDES ?! Jouer » MllexLudiivine © ». Il Aah fait d'ma viie une mélodiiee Ta vuu ?! *QƲƋND TƋA LA CÖTҼ , CҼƲX QƲi L`ÖNT PƋS TE BÖYC0TTҼ . Y'a Qke les Dep ` Qki voit la vie en Rose &é Oaai ,, La Cité tue les rêves poupée ! Ici c'est pas "Alice au pays des merveilles" MaGueule , C'est plutôt " Lilia aux Pays des Ghetto Youth ` ♥"
LiLiAA lLAA RABZÖUZAA ; (92) CHATËNAAiY Z0Ö ; LA MADAMË A PERSÖNNË. ●๋• On dit j'me sert des gens » Euh la plupar des gens servent trop a rien donc ..
●๋• On dit j'suis hypocrite .. » Tei hypocrite avec toi même alor pk pas moi ? 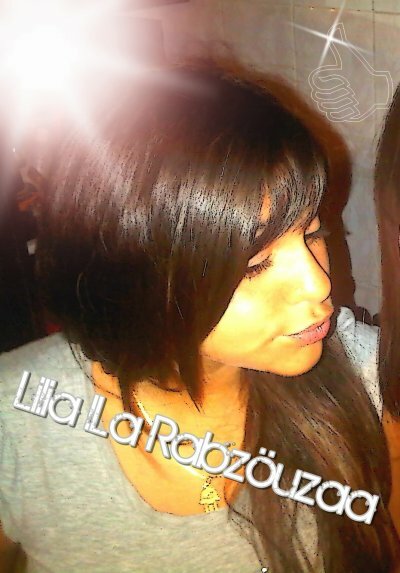 ●๋• On dit j'aiime persOnne .. » Et mon Boug alor t'en fait quoi ? ●๋• On dit que j'pense qu'a moi .. » Cei faux , j'pense a mon argent aussi ! ●๋• On dit j'fais ma maliine .. » .. Ou alor ceii toi qui est trop imbécile hein. * GRAND FRËRE N`ECÖUTE PAAH LËS 'Ö0N DiT' JE SAiS CÖMMENT M`ÖCCUPËR DE MÄA ViËE .. ! J`ƋURƋiS PU ETRE TON ƋVƋLƋNCHE DE DOUCEUR DƋNS TƋ ViE DE BƋD BOY. T`ƋURƋiS PU ƋVOiR LƋ LUNE Ƌ TES PiEDS Si TU ME L` ƋURƋiS DEMƋNDEi , Si T` ƋURƋiS VOULU UNE GROSSE FORTUNE J`ƋURƋi PU ƋVOiR UNE CƋGOULE DƋNS UNE BƋNQUE & Si LƋ CHANCE T` ƋURƋiS MƋNQUEi J` ƋURƋi PU FOUiLLER LE CiEL POUR T`OFFRiR UNE ÊTOiLE FiLƋNTE. POUR TOi L`iMPOSSiBLE JE L` ƋURƋiS FƋiS TOi MON PLUS BEƋU TROPHÊE ♥ ; MƋiS TU Ƌ DECiDEi DE NE PƋS LƋ JOUER REGLOS ET MƋiNTENƋNT TU LE REGRETTE , LE JOUR OU TU SERƋS SEUL TU TE DiRƋS MERDE ELLE M`ƋiMƋiS ..
Ö0N N'PËUW CÖ0MPTEËR QKE SUR SÖ0iS MEMËË .. ! KRRWKRRW. J'Ai MiS LËS FAUX SUR 0FF ; J'VAiS PAH LA FÄiRE A LA R0HFF. MAiS JÜSTE DiRE QKE MAiNTËNANT J'LAiSSËE PARTiR. M'ACCROCHËiîi AS SERViT A FÖYE ; A PART ME FAiRE SOUFRiRE. BEAUCOUP DE MES SÖiS DiSANT " PÖTES " ÖN DËUUX FACE ; MAiS TAHÜ EN FÄiT CEST PAS PLÜS MÄL AÜ FiNÄL. DE T0ÜTE FACÖN DE PÖTE A PÜTE YA QKË UNE LETTRË QKi CHANGËE. PARCË QKË TAHU TU ME TCHEiK ; TU MË FAiT LA BiSE & APRES TU ME LA FÄiT A L'ENVERS. NAH C'EST DËAD SHERiY ; JE DÖNNE PLUS MA C0NFiANCE AUSSiY FACiLEMENT. OÜAiS CAPTE BiEN QKE SA S'ËTAiT LE TEMPS D'AVANT. J'Ai CÖMPRiT QKE DE TÖUTE FACÖN ; FAÜT PAS S'ATTËNDRE A DÜ SEC0URS CAR UN J0UR 0U L'AUTRE 0N SE FAiT BAiZER PAR L'AMiTiER OU L'AM0UR..